Hello! 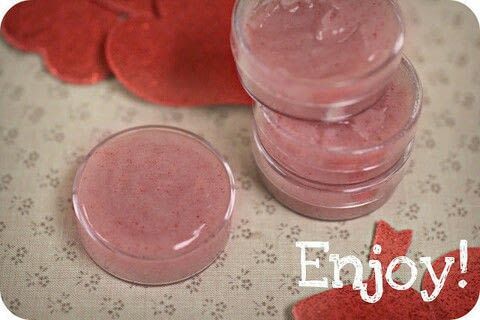 Today I'm happy to share a fun and easy DIY lip gloss that I tried to create over the weekend and had great success with. Its a simple 2 ingredient beauty mixture that is just so fast and easy! Originally I thought I would use a recipe, but than realizing that i didn't have all the ingredients on hand, I though I'd just try to come up with one of my own, and it worked out great! So give it a try and have fun! 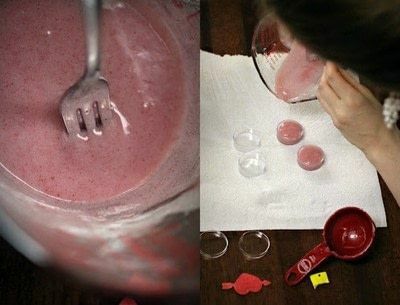 - Lip gloss containers are available at michaels, walmart, etc. - I would suggest you purchase a kool-aid flavor that comes out red such as cherry, fruit punch, etc. I mixed 1 lemon berry and 2 Hawaiian punch together. 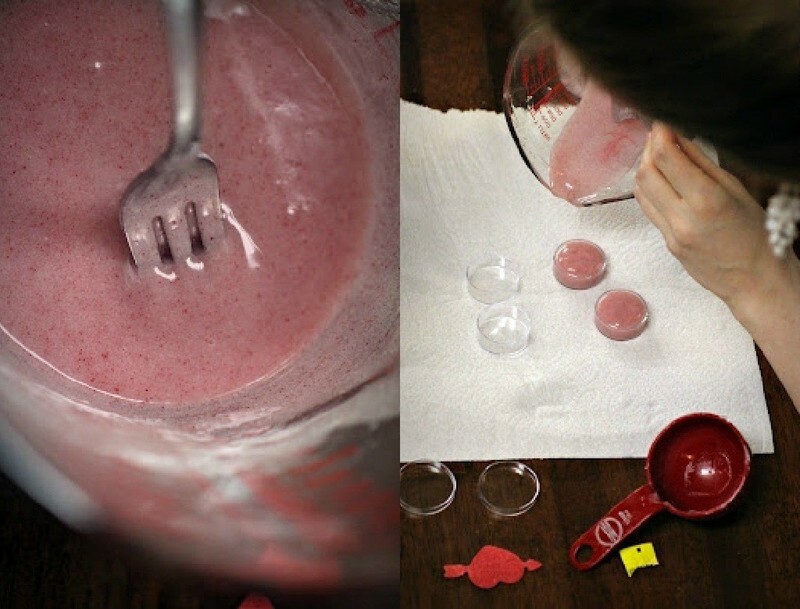 - I've heard that certain drink mixes such as crystal light have a sour flavor, so maybe be sure and use kool-aid or hawaiian Hawaiian punch mix for a yummier tasting finished product. Step #1. Gather all your supplies together. 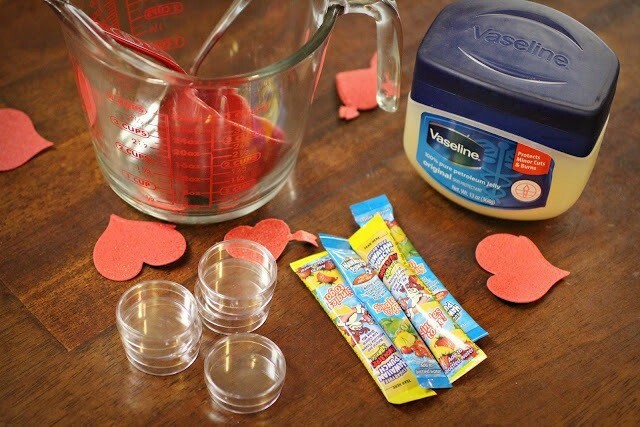 Add your 1/4 cup Vaseline to your glass measuring bowl and microwave on high for approx 1 minute. Take it out and start mixing it together by mashing it slowly against the side of the glass bowl. Be extra careful with this part as the Vaseline is Very hot and may splash a bit if you go too fast! Step #2. Once you have your bowl of well-mixed liquid greasiness (it should be about the consistency of runny pudding and should drip easily off your spoon), slowly stir in the kool-aid a little at a time and make sure it starts to dissolve (keep stirring!). The more you add the darker it gets, so just stop adding (but keep stirring!) when you've reached your desired color. I found too that the harder and faster I mixed, the more the crystals dissolved and the darker it got, so don't get discouraged! Step #3. Once you're mixture is very well blended to your satisfaction, make sure you give it a little try on your lips. If there are still crystals left than you will have grainy lip balm so mix some more! If at any time your mix looks like it's getting too cool or solid again, simply put in the microwave for another 30 seconds and than -you got it!- stir again! Lots of stirring in this project:) You will have very strong wrists by the end, but you're almost there! 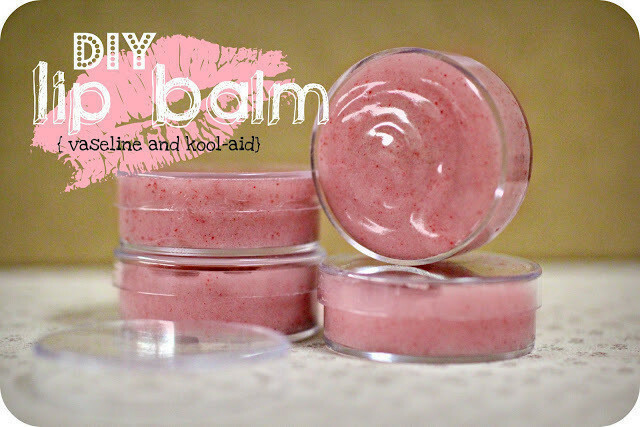 As far as containers, You can use little plastic gloss containers like these, or even those fun little balm tubes. There are even cute little clear bead containers out there that would work, most of which you can find at crafts supply stores, so take your pick! Let cool for approx 2-3 hours before using or giving as gifts. You should be able to turn it over and shake and not get gloss all over your self:) Add some cute labels or stickers to make them more personal and official. Just have fun, and enjoy those softer Valentines kisses! Do you use the sweetened kind?? Sounds like it would be sour if you didn't . hey can you please suggest any alternative for kool aids, I could not find it. 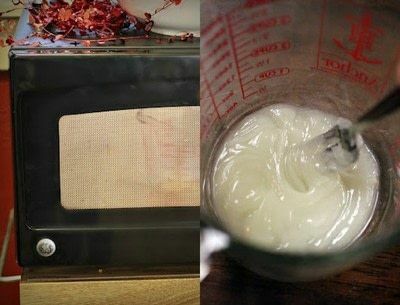 I'd use karitè butter, sweet almond oil, castor oil and Kool-Aid for an eco-bio lip balm great idea though! Yours look like, you know the 'very-berry-strawberry' icecream you get in baskin robins! LOVE IT!!! !